With Saima Altunkaya, Hüsniye Ate?, Benji Boyadgian, Hera Büyükta?ç?yan, Manuel Ç?tak / Ekrem Ek?i, Thierry Fournier, Giampaolo Galenda, Emrah Gökdemir, Nele Gülck & Nikolai Antoniadis, Engin Ir?z, Noha Ibrahim Jabbour, Robert Jankuloski, ?zzet Keribar, Cynthia Madansky, Marco Maione, Jean-Luc Manaud, Diana Markosian, Cécile Massie, Andrea Merli, Ay?e Özalp, Manoël Pénicaud, Nira Pereg, Guy Raivitz, Sarkis, Gildas Sergé, Cemal Ta?, Hale Tenger, Francesco Tuccio, Gençer Yurtta? 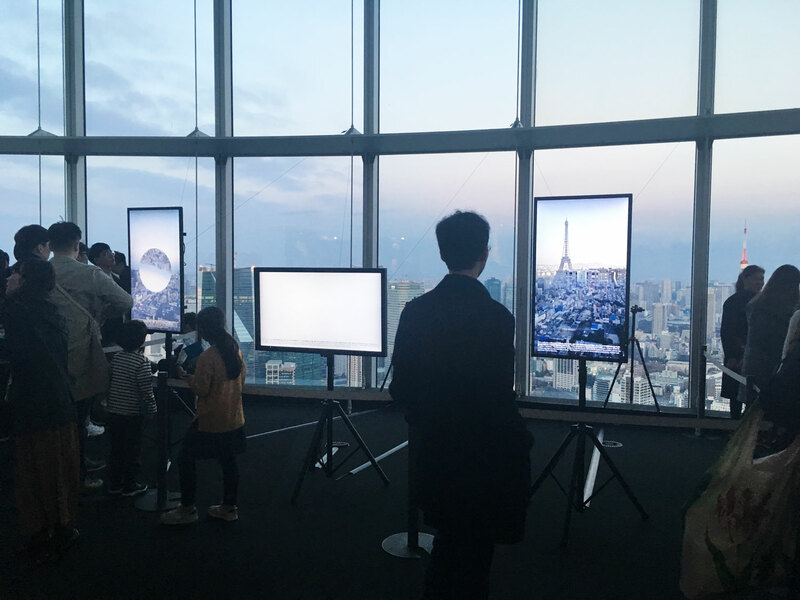 The Watchers, with Marie-Julie Bourgeois, Marine Pagès and Antoine Schmitt, curating and apparatus Thierry Fournier, invited by Tokyo French Institute, Digital Choc and Media Ambition Tokyo Festival, Mori Tower 52th floor, Tokyo. Open Codes, ZKM – Center for Art and Media, Karlsruhe (Germany), curated by Peter Weibel, Natalia Fuchs, Lívia Nolasco-Rózsás and Yasemin Keskintepe. Panorama #20, Le Fresnoy, Studio National des Arts Contemporains, Tourcoing (FR), curator José-Manuel Gonçalvès, with Seul Richard, installation et film, 2008-2018. Axolotl, duo show with Laura Gozlan, Capa – Centre d’arts plastiques d’Aubervilliers (FR). Machinal, Villa Henry, Nice (FR), curated by Isabelle Pellegrini. Catalog with a text by art critic and philosopher Céline Flécheux, and an interview with Isabelle Pellegrini. Cité internationale des arts, Paris, March 16 – April 6. Thierry Fournier is guest artist and teacher at Le Fresnoy in 2017 – 2018. He will follow the works of seven artists and create a new work, Only Richard. All the works will be exhibited within Panorama #20 at Le Fresnoy, September 21th – December 30th 2018. Creation and head of Collection Artem, first public collection in a French art college, Ensad Nancy / Artem, in collaboration with Jean-François Robardet. Newwwar, exposition collective, Bandjoun Station Art Center (Cameroun), curated by Marion Zilio, 17.11.2017 – 30.05.2018. Macedonian Museum of Contemporary Art, Thessaloniki Biennale (Greece), curated by Thouli Misiroglou, 22.09 – 23.12. Galerie Delaunay, Paris, curated by Isabelle de Maison Rouge. Variation Paris Media Art Fair, Cité Internationale des Arts, 18 rue de l’Hôtel de Ville Paris, curated by Dominique Moulon. Several works are now distributed by the online gallery ArtJaws who organizes Variation Media Art Fair: the neon Hide me and the installation Just in case that are exhibited this year, the installation Oracles and the series of prints Non-Lieu. Group show Fondation Vasarely / Seconde Nature, Aix-en-Provence, curated by Mathieu Vabre, Corentin Touzet and Émilie Fouilloux, from 15.09 to 22.10, opening on 15.09. Résidence in Venice for the production of En Vigie (The Lookout) IV. This generative video takes part in a series begun in Collioure, Strasbourg and Nice. Two solo shows will follow in 2018 in Nice (Villa Henry) and the Alliance Française in Venice. Release of the exhibition catalogue Heterotopia (Paris: Pandore, 2017), that features a text by Ingrid Luquet-Gad (French version here), an interview with J. Emil Sennewald (FR) and photographs of the exhibition. Chapel of the Saint-Denis Art and History Museum / Synesthésie, Saint-Denis (FR). See the Press release. Shooting and creation of the video En Vigie : Nice, third edition of the En Vigie series. The work will be exhibited at the Villa Henry in 2018. The series of digital images Non-lieu is preselected for the Prizes 2017 of the Voies Off photography festival in Arles. Essay on the exhibition Data Soliloquies by Martin John Callanan, Argentea Gallery, Birmingham, May 2017. Ososphere festival and group show in Strasbourg (FR): installation Sous-ensemble at the Opera national du Rhin (photograph), installations En Vigie and Ecotone at the Coop site. Group show In Lothringens Fruchtbäume kletterte ich… Die Heimat des Weltbürgers, Saarländisches Künstlerhaus, Saarbrücken (DE), opening March 8. With Kevin Cadinot, Thierry Fournier, Laurent Lacotte, Souad Mani, Wendy Vachal, Alicia Zaton, Daniela Zuniga. Curated by Jean-Christophe Arcos & Laurent Lacotte. ALMA Espace d’Art, Paris (FR). Curated by Pau Waelder. With Guillem Bayo, Clara Boj y Diego Díaz, Martin John Callanan, Thierry Fournier, Nicolas Maigret, Antoine Schmitt, Thomson and Craighead, Addie Wagenknecht, Carlo Zanni. For the first time in France, the project Collection Artem creates a public collection with art students works, at l’École nationale supérieure d’art de Nancy. The acquisitions will be chosen within a selection exhibited in a group show in March 2017. With Denis Chevallier (ethnologist and curator), Thierry Fournier and Manoël Pénicaud (anthropologist), IMERA, Marseille (FR). Curated by Seconde Nature & Zinc. With Michael Ang & Hamza Abu Hayyash, Alice et David Bertizzolo, Thierry Fournier, Quayola, Résonance numérique & Miograd Gladovic, Antoine Schmitt, Adelin Schweizer & Fred Sechet. Maison Populaire de Montreuil, catalogue How to Create A Universe That Doesn’t Fall Apart Two Days Later, foreword by Thierry Fournier, excerpts from panels with Ingrid Luquet-Gad, J. Emil Sennewald and Marion Zilio. Group show Data on view / Données à voir, La Terrasse, Nanterre art center. Curators: Sandrine Moreau and Thierry Fournier. Home Cinema, group show curated by Charles Carcopino, OCT Arts & Design Gallery, Shenzhen, Chine. With Emilie Brout, Émilie Brout & Maxime Marion, Jim Campbell, Delphine Doukhan, Antoine Schmitt, Thierry Fournier, Nicolas Maigret, Lauren Moffatt, Mariano Pensotti, Etienne Rey, Wilfried Wendling and Yeondoo Jung. Online publication of the exhibition catalogueReal Time à Ars Santa Monica, curated by Pau Waelder. Texts: Raquel Herrera, Vanina Hofman, Pau Waelder. Artists: Guillem Bayo, Clara Boj + Diego Diaz, Gregory Chatonsky, Martin John Callanan, Thierry Fournier, Varvara Guljajeva + Mar Canet, Rafael Lozano-Hemmer, Nicolas Maigret, Katie Paterson, Antoine Schmitt, Jon Thomson + Alison Craighead, Addie Wagenknecht and Carlo Zanni. Design: Hastalastantas. Public Pool #2 / Les objets ont la parole, invited by Jean-Christophe Arcos, Marianne Derrien and Leïla Simon for C-E-A, Commissaires d’Exposition Associés. Cité Internationale des Arts, Paris. Curated by Dominique Moulon. Curated work: Non-Lieu, series of digital prints on dibond, 75 x 50 cm (2015-2016). Talk : Economy and Value of Art, Carole Douillard, Thierry Fournier and Grégory Jérôme, presentation of the Economie Solidaire de l’Art group. What becomes of the exhibition, especially in the context of post-digital cultures? 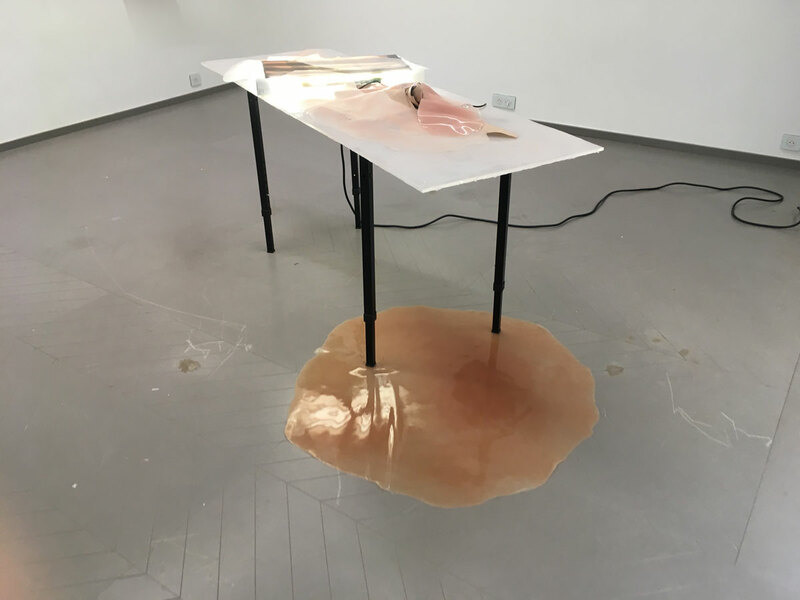 Versions, which will take place over the course of two weeks (Sept 5th – 16th), is an international practice, debate and critique workshop-conference to experiment and discuss exhibition forms. It is offered through the Displays research group led by Thierry Fournier and J. Emil Sennewald at EnsadLab, research laboratory of the École nationale supérieure des Arts Décoratifs (Paris). Research through the exhibition and post-digital condition, Proteus Journal #10, Curating as a form of research, by Thierry Fournier, J. Emil Sennewald et Pauline Gourlet (French, publication of the English version on September 5th, 2016). Daegu Art Museum, Korea, curated by Charles Carcopino. The Self and the World, 2 films and a group show, project directed by Thierry Fournier and Jean-François Robardet, NaMiMa Gallery, Ecole nationale supérieure d’art de Nancy (FR). antiAtlas Journal is out, journal of art / science research dedicated to the border studies. Editorial board Cédric Parizot, Anne-Laire Amilhat Szary, Jean Cristofol. Artistic direction and design Thierry Fournier. Programming and design Papascript. Curated by Charles Carcopino, Printemps à Saint-Sauveur, Lille (FR). Exit Festival (Maison des arts de Créteil, FR) April 7 to 17, opening on April 7 at 6pm, curated by Vladimir Demoule et Emilie Fouilloux. Arts Santa Monica (Barcelona, ES), curated by Pau Waelder. Interview with Christine Palmiéri in Archée art magazine about the exhibition Overflow (French). Lecture and talk about the Overflow exhibition. Ososphere festival in Strasbourg, with Ecotone. The catalogue Overflow is organized in three independant parts: critical texts by Jean Cristofol, J. Emil Sennewald and Pau Waelder / work photographs and work documents / poster. Published by Pandore Edition with support from Lux Scène nationale de Valence. Solo show at Lux Scène nationale de Valence (FR), opening Thursday, September 17th, 6pm. See the press release. Creation of the installation Sous-ensemble at the Renaissance Festival, Lille. The installation is showed in the 17th century church Sainte-Madeleine in Lille. The network installation Ecotone is showed within the New Cinema Festival in Montréal. New work Ecotone, network installation. Residency in Lille for the creation of Subset, new installation that will be showed within the Renaissance Festival (Lille, FR) from September 26 to January 17. IECA – Institut Européen de Cinéma et d’Audiovisuel, Salle Marcel Ophüls, 10 rue du Maréchal Ney, 54000 Nancy (FR). The projection will be followed my a meeting with the film crew and the presentation of the digital edition www.theselfandtheworld.net. The installation See You is presented by Pau Waelder within the Media Art Futures lectures in Murcia (ES). Archeology of the future, art and games, Group show curated by Franziska Stöhr within the Kino der Kunst festival and exhibition, April 22 – June 14, 2015, State Museum of Egyptian Art, Munich (DE). With Dear Reality, Thierry Fournier, Galactic Café, Playdead, Lea Schönfelder & Peter Lu, Thatgamecompany, The Chinese Room, Bill Viola. Work exposed: Dépli. Projection of the movie Last Room by Pierre Carniaux, Maison des Arts de Créteil, in dialog with the installation Dépli and discussion after the film. At the Maison des Arts de Créteil, first panel organized by the Displays emerging research program (EnsadLab) that I coordinate, dedicated to the evolution of the exhibition forms. With Inke Arns (curator, artistic director of the Hartware KunstVerein Dortmund), Charles Carcopino (curator), Marc-Olivier Gonseth (curator of the Neuchâtel Ethnology Museum), Emmanuel Mahé (head of research Ensad / EnsadLab), François Mairesse (University Paris 3 / CERLIS, ICCA), Claire Malrieux (artist), Omer Pesquer (museographical consultant and lecturer at University Paris 3). Organization and moderation Thierry Fournier and J. Emil Sennewald, art critic. Festival Via Festival (Maubeuge, March 12-22) et Festival Exit (Maison des Arts de Créteil, March 26 – April 5), exposition Home cinemas avec Dépli et Précursion, curated by Charles Carcopino. Recordings with Lille National Orchestra for the interactive installation Sous-ensemble that I will create within the Renaissance Festival in Lille on September 26.